VGN Windsor Park is ideally located on the Poonamallee - Avadi High Road which is a hub of fast growth and economic activity. The area is strategically located close to the National Highway and is poised to become one of the most sought after residential hubs in the area. Making VGN Windsor Park the wisest investment choice. Established in the year 1942, VGN has successfully carved a niche for itself in the ever dynamic real estate industry over the last 75years, VGN is known as much for its beautiful, world-class homes as it is for following best practices in the industry. VGN has developed around 4000 homes in the last 5 years. VGN is the pioneer in large scale layouts within Chennai city limits, building harmonious communities and neighborhoods coupled with great lifestyle and substance. Our Customers happily narrate how their few lakhs of investment has become few crores in a decade, investing in VGN properties. With over 20 million sq. ft. of residential projects under development, VGN is one of the most respected and reputed builders in South India. Starting with affordable housing and spreading our wings to ultra-luxury segment, we have catered to all sections of the society. Synonymous with quality, timely delivery, expertise and trust, VGN is a name that is here to stay. VGN has been consistently ranked No 1 builder in Chennai on the basis of 3 parameters viz., number of launches, number of units sold and square feet sold between 2013 and 2016. (Source: research report by www.propequity.com for this period). Notwithstanding market share, VGN takes pride in the mind share it enjoys with discerning investors. 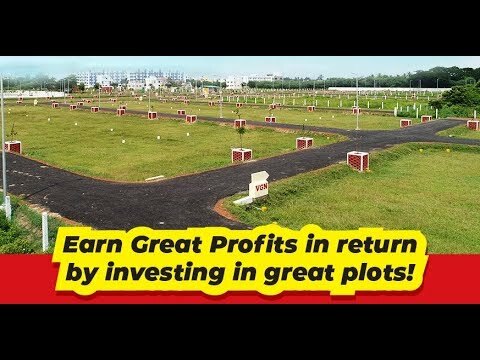 VGN has helped in realizing their dream homes and phenomenal return on their investments.